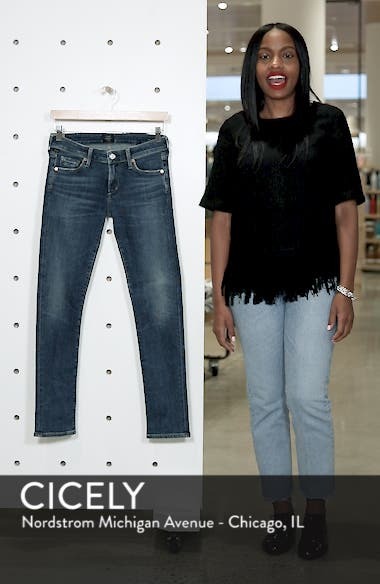 Light distressing and a medium-blue wash bring vintage character to svelte jeans that fit slim through the thighs and straighter through the hems. Choose a sizeIf between sizes; order one size up. 23=000, 24=00, 25=0, 26=2, 27=4, 28=6, 29=8, 30=10, 31=10-12, 32=12.